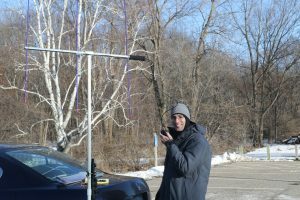 Bill, AE0EE, operates 2 m FM on a wintry day. The ARRL January VHF Contest is coming up this weekend! There are three FM focus times (on 146.550 and 446.00 MHz simplex; times CST): 4:00-4:30 PM Saturday, 8:00-8:30 AM Sunday, and 9:30-9:59 PM Sunday (after the net). 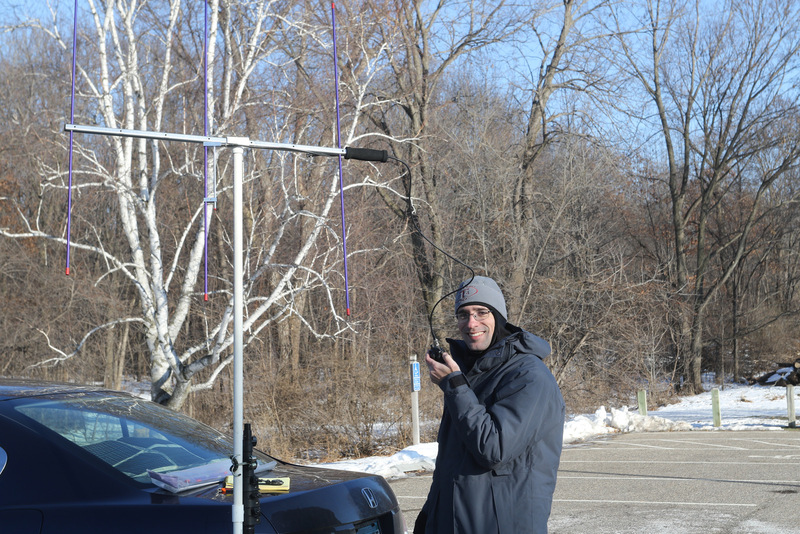 We have a 2-page quick-start guide and a 10-page introduction to VHF+ contesting if you want to read up on how to participate, and the Northern Lights Radio Society has a spreadsheet with the upper midwest VHF+ activity. The exchange is your grid square (EN34 for Bloomington and other south metro areas, EN35 in the north metro). Participating in the VHF contest is a great way to get a few contacts in the log and try out some simplex communications.